"This is great sauce. Use for dipping or poured over rice and chicken." Stir water, sugar, ketchup, pineapple, vinegar, red pepper flakes, soy sauce, steak sauce, and hot sauce together in a saucepan over medium heat. Remove 1/2 cup of the sauce to a small bowl; whisk cornstarch into the sauce in the bowl. Bring the sauce in the saucepan to a boil, stir the sauce with the cornstarch into the boiling sauce. Cook, stirring occasionally, until thickened, about 15 minutes. Remove from heat and allow to cool slightly before using. 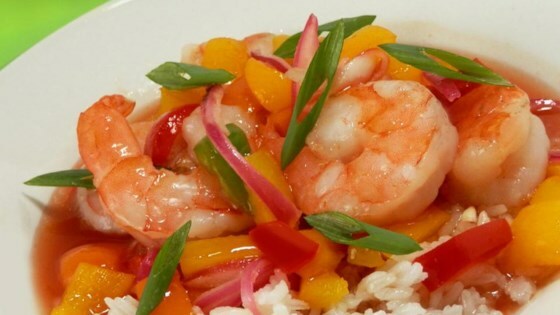 This is the sweet and sour recipe that I've been looking for! It really is sweet and sour not just sweet with more sweet. Love it! This was very good. My nine year old said it was "spot on"! I left out the pepper flakes and just used the hot sauce. Wonderful! I halved and still have a huge batch. So quick and simple - will definately be a new fav.